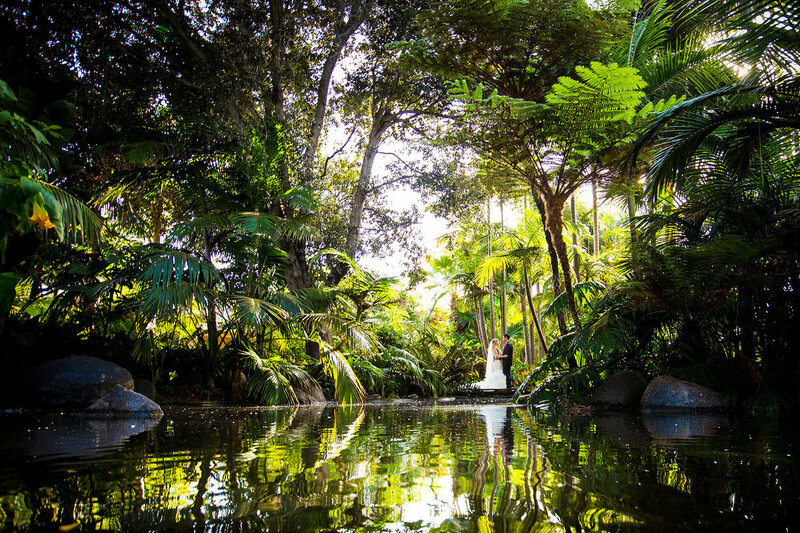 You've been wishing for a perfect wedding all of your life and the Bahia Resort Hotel is the ultimate place for your dream wedding. Set on 14 acres of romantic tropical paradise. 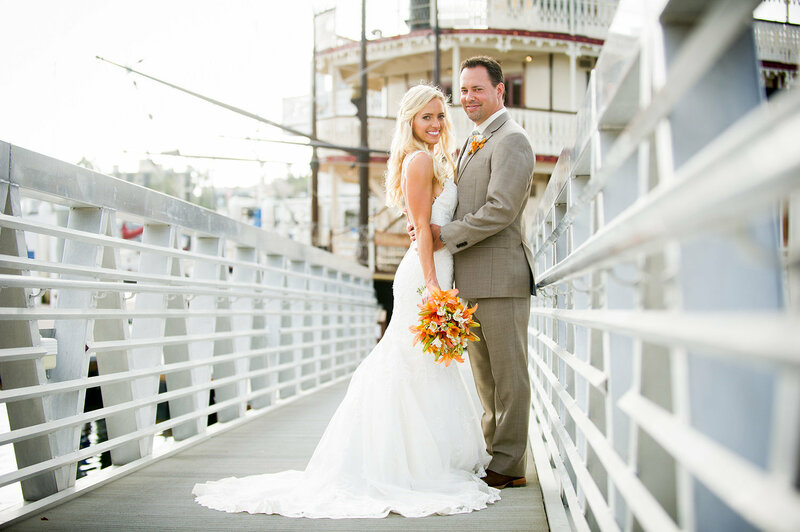 Choose from our elegant ballrooms overlooking Mission Bay, Beachfront settings, or a cruise on one of our vintage Sternwheeler Boats. 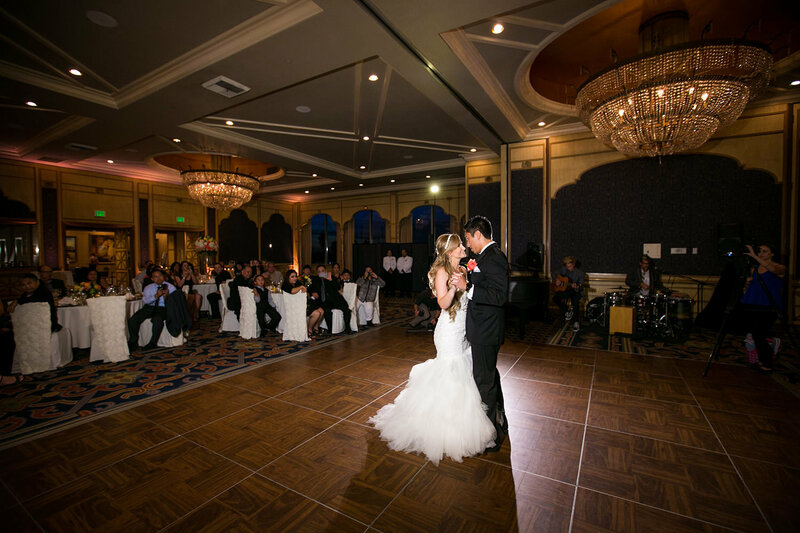 The Mission Bay Ballroom is one of our most versatile venues, perfect for your San Diego wedding and reception. 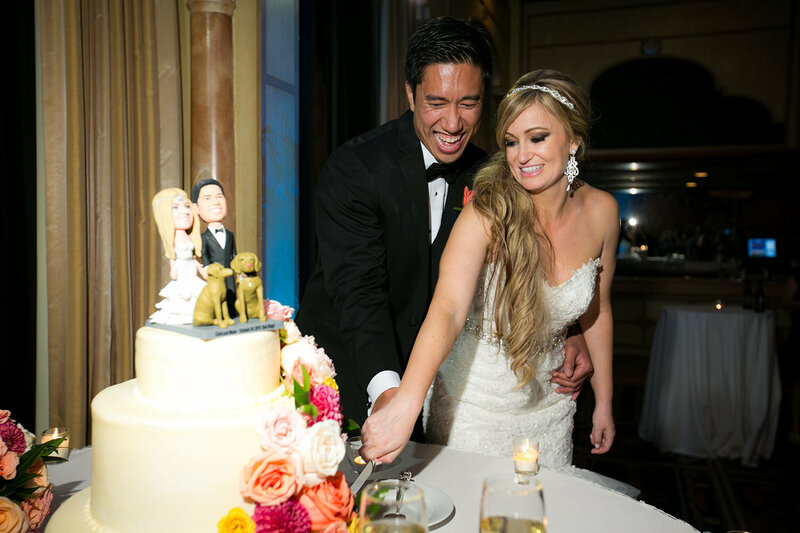 With the built-in marble-topped bars, high ceilings and crystal chandeliers, the luxurious penthouse ballroom is one of our most popular options for weddings from 100 to 500 guests. The room’s stunning floor-to-ceiling windows invite your guests to drink in one of the most romantic views of San Diego – the pristine waters of Mission Bay surrounded by a panoramic view of the city. In the summer, your entire wedding party can watch the skies light up with the SeaWorld fireworks just across the bay. 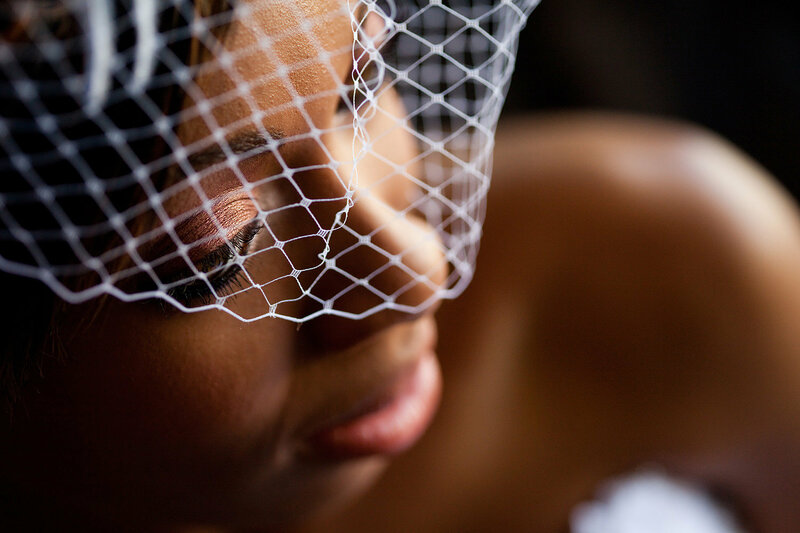 The room is easily accessible for your guests with convenient parking plus a private foyer and entrance…it’s everything you need for a secluded wedding getaway. The Del Mar Room sits just steps from the Bahia’s soft sand beaches. Perfect for an intimate wedding party of 100 or less, the room’s beachfront patio opens onto our “toes in the sand” beach wedding area and invites the romantic ocean breezes to give your wedding a true tropical feel. 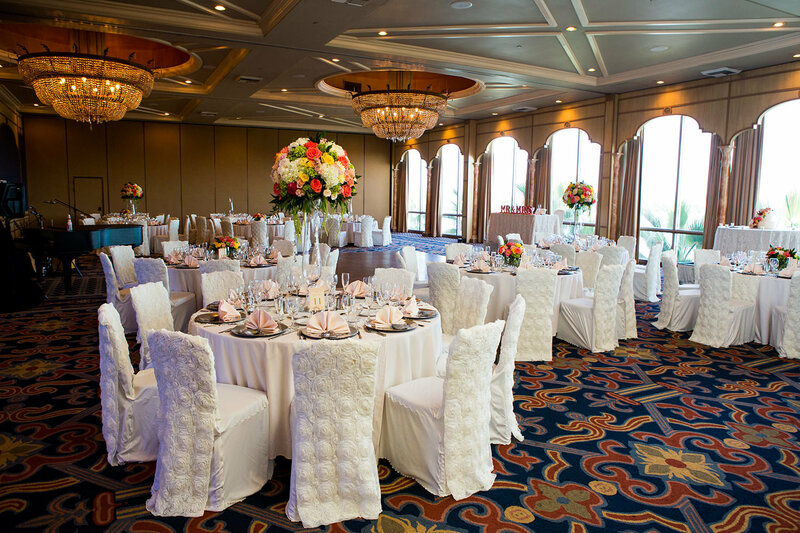 Inside, the Del Mar Room’s casual elegance is ideal for a wedding in paradise. The arched windows look out on the calm waters of Mission Bay framed by the peaceful sandy beaches. The room itself is light and airy, and the decorative ceiling adds another layer of beauty for your picture-perfect wedding day. A private entrance ensures your guests will feel special, too. The wraparound windows of this bright beach side room face the private resort docks where our vintage-style sternwheeler paddleboats await guests for trips around picturesque Mission Bay. 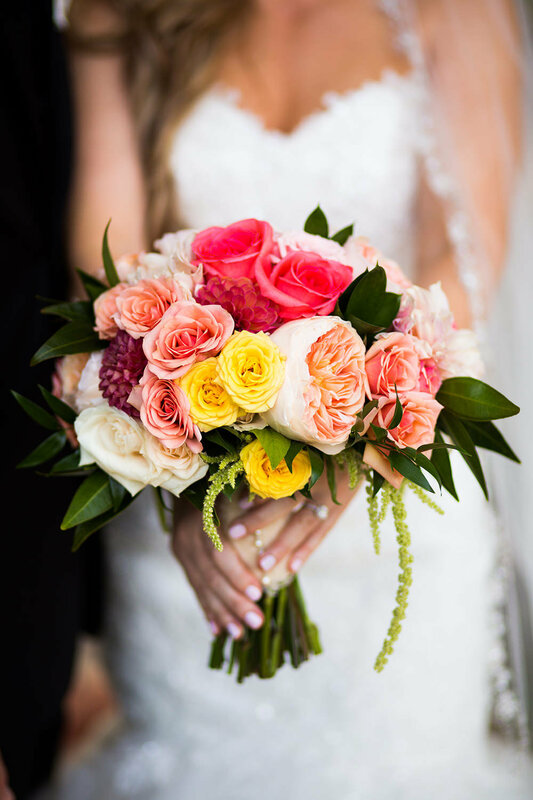 The private entrance through a lush garden patio is steps from the beach, making the Shell Room a San Diego wedding paradise for events up to 110 (up to 180 when the Shell and Ventana Rooms are booked together). The Shell Room also features an adjacent patio with an outdoor stone fireplace, a cozy, romantic way to take the chill out of cool San Diego evenings. 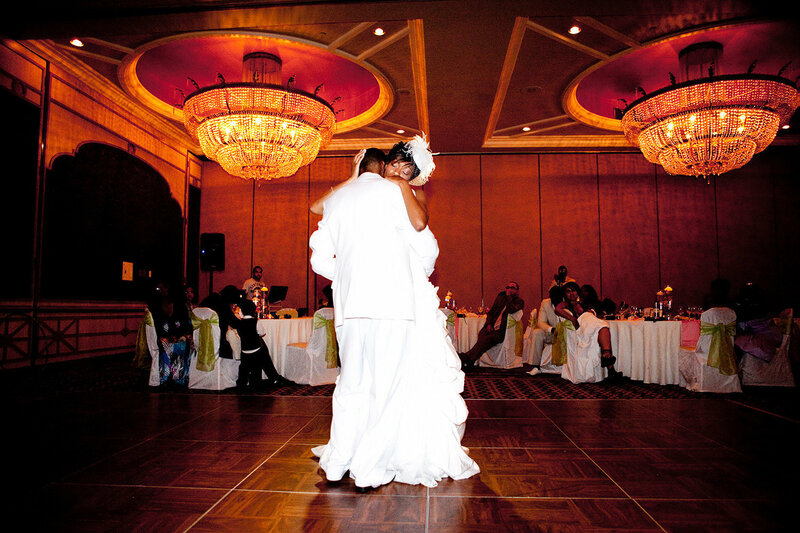 The Ventana Room’s two-level ballroom offers a unique floor plan for weddings of up to 60. The private entrance opens to the resort’s beach paradise, and the banks of windows offer a stunning view of Mission Bay. 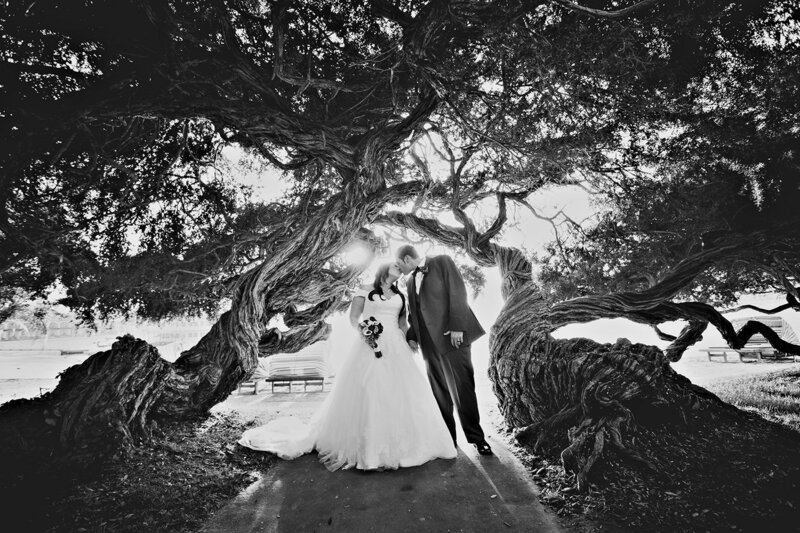 The room invokes a feeling of an airy beachfront hideaway and is ideal for intimate San Diego weddings. 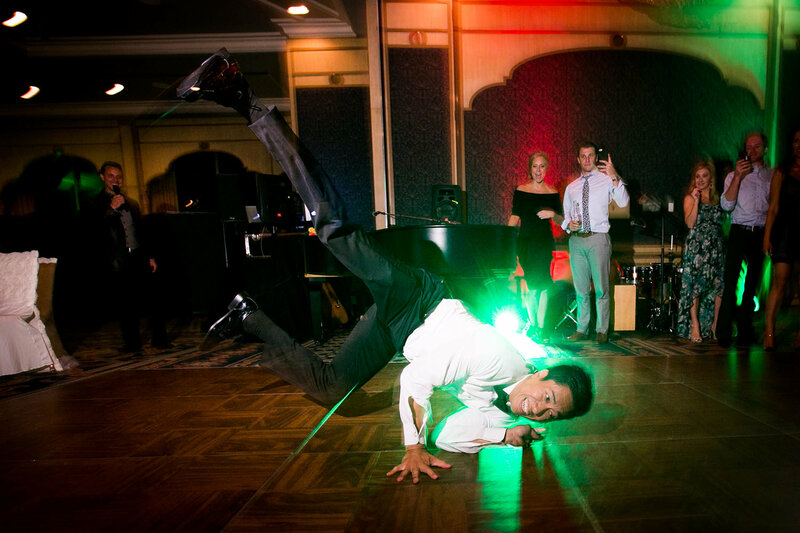 Need a little more space for a growing guest list or a dance floor for your first dance? The Ventana Room can be expanded to meet your needs. The next venue to consider would be our elegant sternwheeler boat, the majestic William D. Evans, a tribute to early America’s most elegant mode of transportation. With three hand crafted wooden masts at her bow, a twelve-ton paddlewheel at her stern and stretching over 100 feet in length, she is an incredible sight to behold. This Victorian styled paddle wheeler has a wonderful feeling of nostalgic elegance and maintains an air of 19th century grace with mahogany hand carved wood with period brass and ironworks. Vintage décor includes ornamental pressed tin ceilings, delicately etched glass, red velvet curtains and winding staircases leading to all levels. On the first level, the “Boiler room Bar is twenty feet of shining copper and brass complete with lights that glimmer on and off. The second level-dining salon has an exquisite skylight crafted from over 50,000 pieces of European stained glass. Offering panoramic views that stretch across each level, your guests will enjoy fresh ocean breezes and view scenic Mission Bay during their cruise. As one strolls the promenade on the third level, you will see the hills surrounding the bay come magically alive at night with their evening twinkling lights. By night the William D. Evans becomes the jewel of the bay with total illumination from stem to stern. Interior lighting makes the stained glass ceiling glow while orange colored fire within the smokestacks flicker. 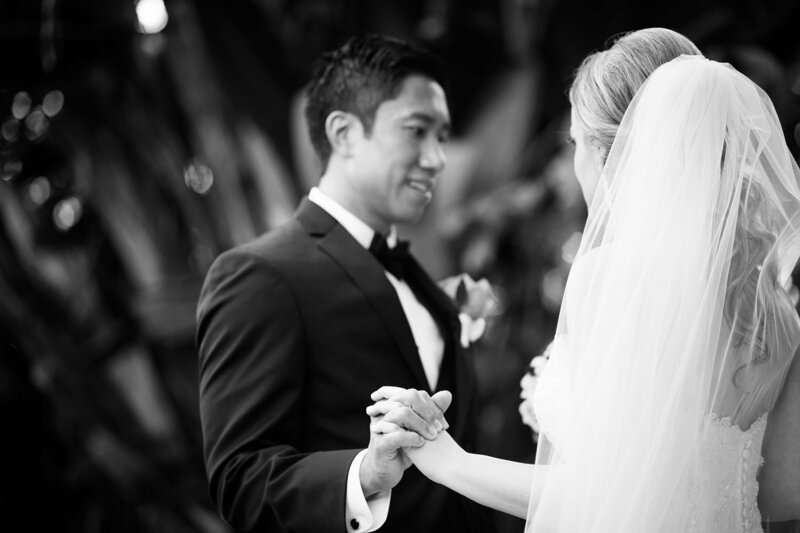 Get ready for a San Diego wedding to remember! Our custom-built boats are a tribute to early America’s most elegant mode of transportation. 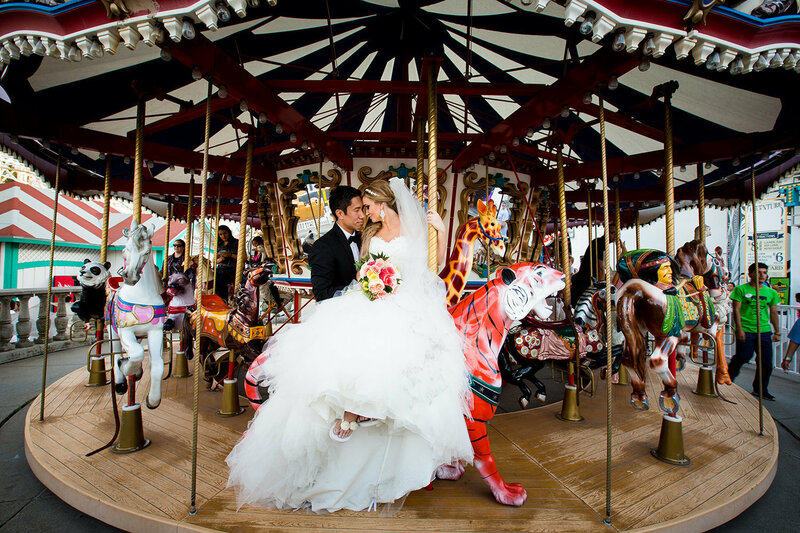 The majestic William D. Evans can host wedding parties from 100 to 200 for a one-of-a-kind wedding day that will leave your guests in awe. The William D. Evans sternwheeler stretches more than 100 feet in length, from the tip of her three handcrafted wooden masts to the edge of her twelve-ton paddlewheel. 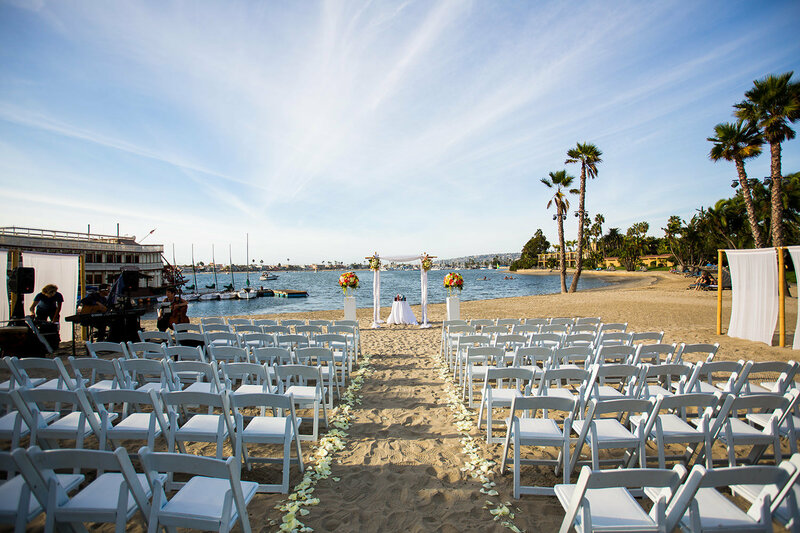 Indulge with a ceremony at sunset on the quiet, sparkling waters of Mission Bay, then let your guests soak in the vintage ambiance of the ornamental pressed tin ceilings, winding wooden staircases, stained glass skylights and period brass and ironworks. 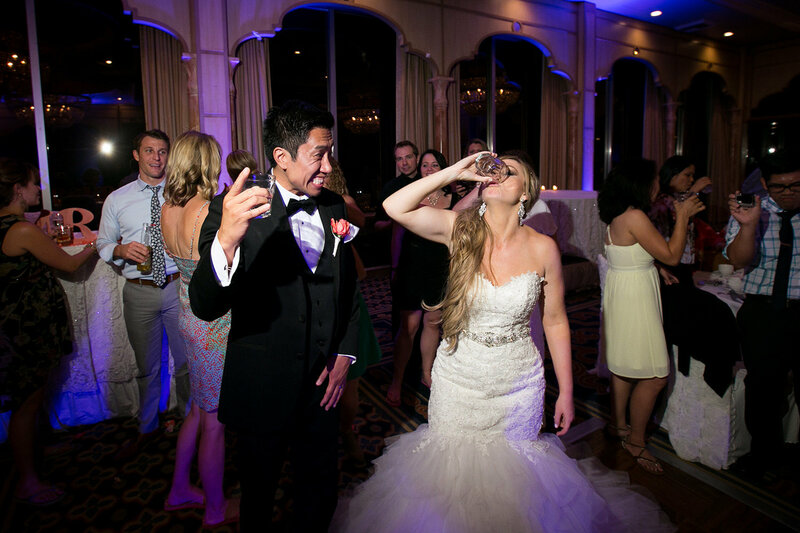 This San Diego wedding venue is self contained – your guests can enjoy the Boiler Room Bar on the first level before heading to the dining salon upstairs. The promenade on the third level is perfect for dancing under the stars or simply taking in the breathtaking views of Mission Bay. The luxurious two-hour cruise will be an event you’ll never forget. 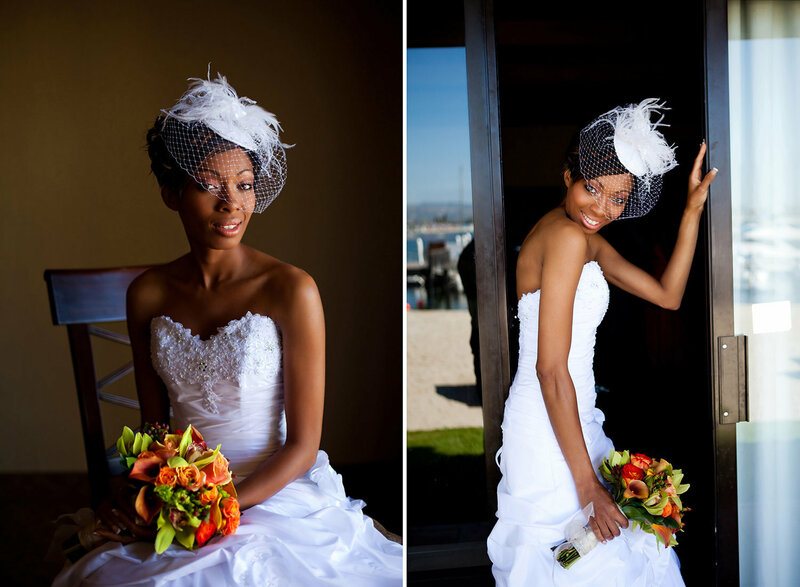 The charming Bahia Belle provides an intimate venue for an unforgettable wedding celebration on the water. This Victorian-style paddlewheel boat, the smaller of the two Bahia Sternwheelers, maintains an air of 19th century grace with hand-carved oak, polished brass, etched glass and winding staircases. 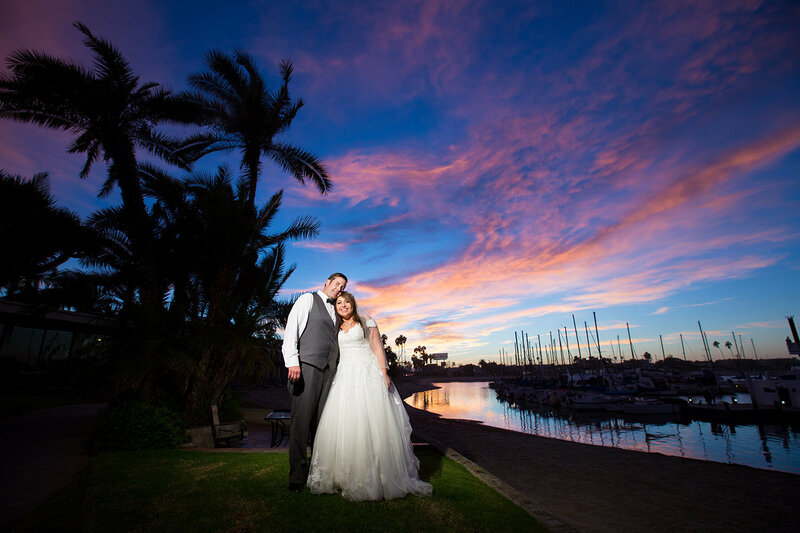 During the delightful two-hour cruise, your wedding guests have three levels to explore as the captain navigates the quiet waters of romantic Mission Bay. 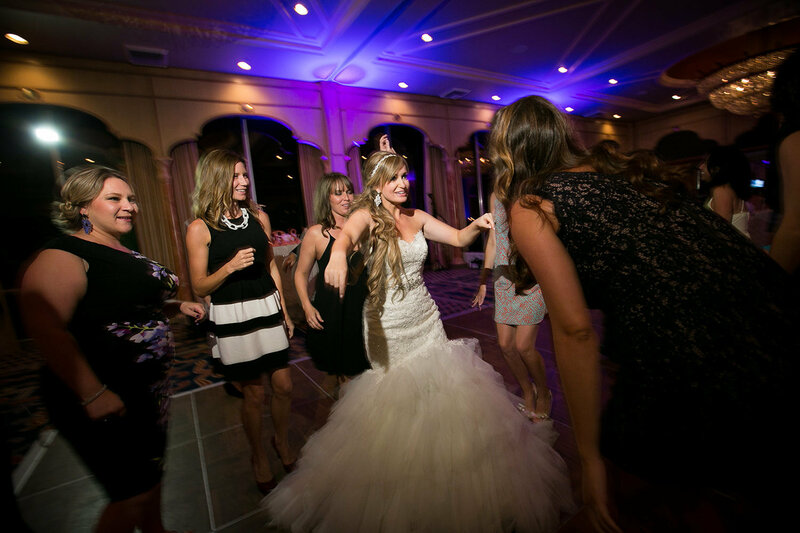 The first level is perfect for a reception or buffet-style meal service for up to 90 guests, and the second level provides ample space for dancing, desserts and coffee. Guests will enjoy the ocean breezes and the spectacular views of the hills surrounding Mission Bay as they come alive with twinkling lights in the evening. 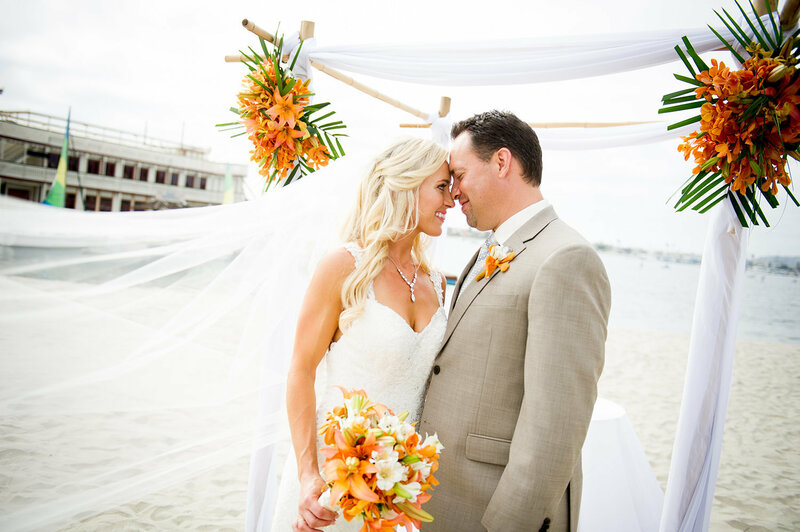 The Bahia’s historic wedding gazebo is the ultimate secluded ceremony paradise for your romantic San Diego wedding. 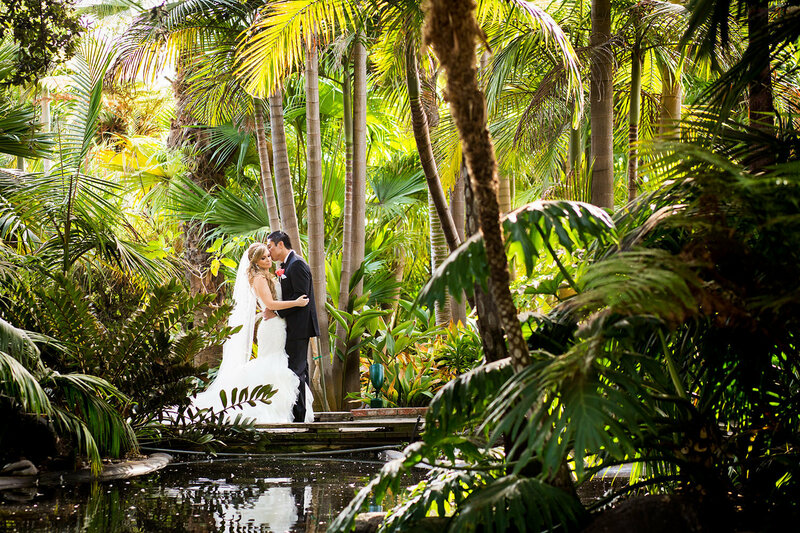 Imagine walking down the aisle to a picture-perfect antique gazebo, tucked next to a serene reflecting lagoon and fountain and surrounded by lush tropical gardens. 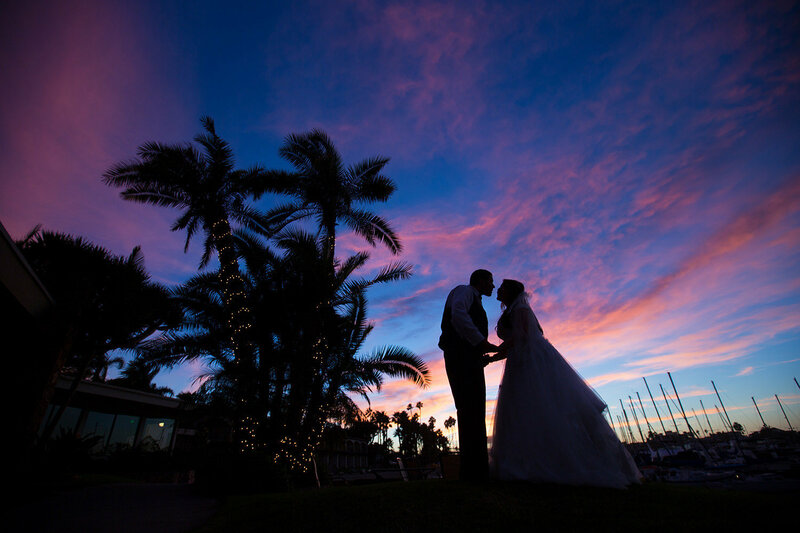 The idyllic San Diego weather provides the crystal clear blue skies and gentle ocean breezes that will ensure your outdoor wedding is everything you have ever dreamed of. The gazebo lawn can accommodate up to 250 guests and is the perfect setting for anyone looking for a wedding in her own tropical paradise. 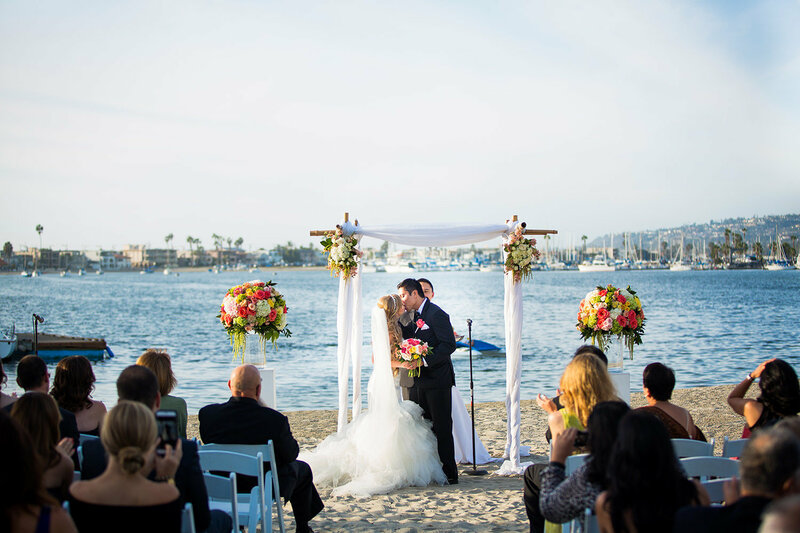 The Bahia Resort Hotel is proud to offer the perfect San Diego wedding venue, a beachfront ceremony on peaceful, sheltered beach on sun-drenched Mission Bay. Your friends and family will enjoy the soft ocean breezes as they watch you exchange vows against a backdrop of calm water with sweeping views of the hills around the city. 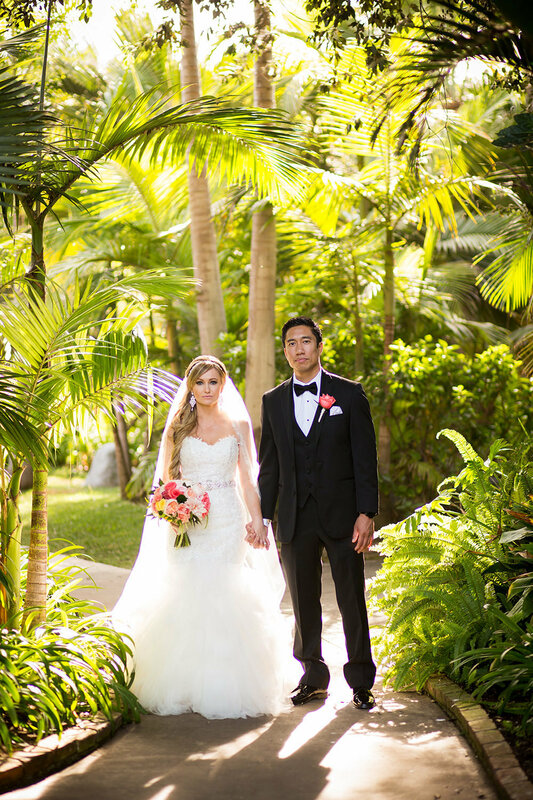 After the ceremony, you can invite your guests to join the reception in one of the beachfront rooms, just steps from the water, or, for something really special, your guests can set sail on one of our Sternwheeler paddleboats for the ultimate tropical paradise wedding celebration. 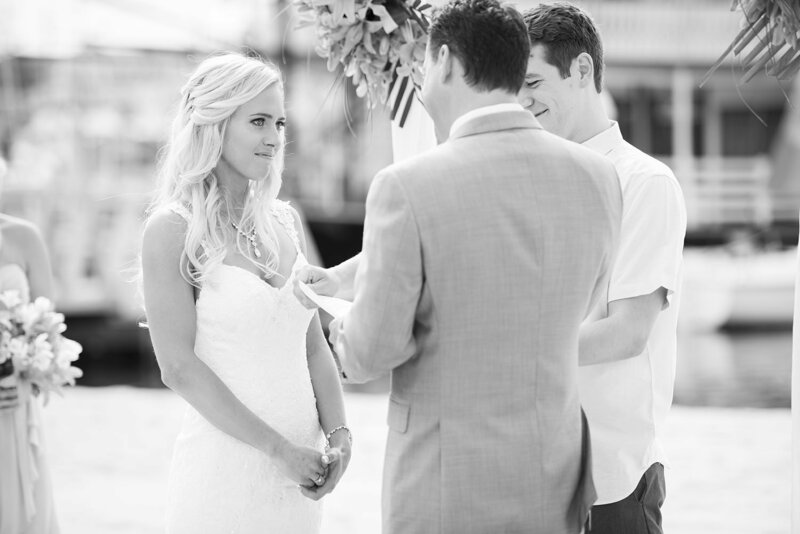 Our “toes in the sand” ceremonies can accommodate up to 300 guests and are available year round. 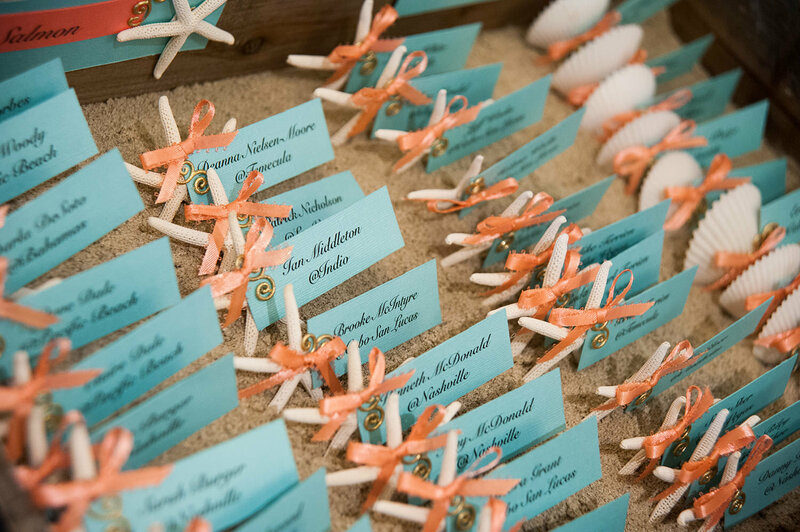 Ask about how we can customize the décor to make your wedding on the beach the one you’ve always hoped for.